Happy Hump Day! I'm not sure how it's already Wednesday - I totally thought this first week back from our mini vaca would drag but it's not seeming so. Take your cream cheese out so it is soft by the time you are ready for it. Boil water and cook your spaghetti al dente. While your pasta cooks, brown your ground beef. 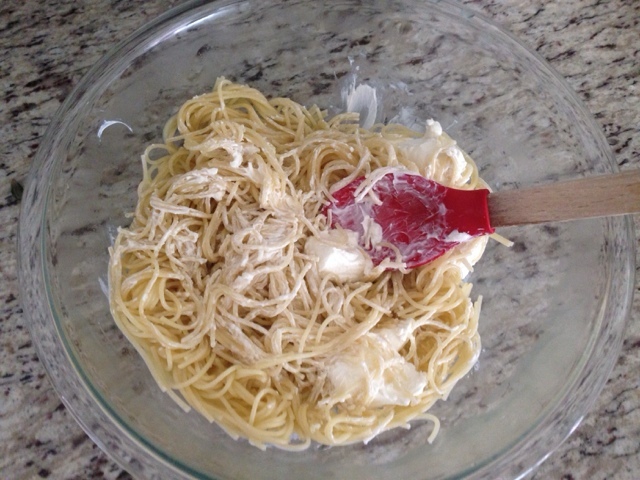 Once the spaghetti is done, put it into a large mixing bowl. Add your cream cheese and mix together well. 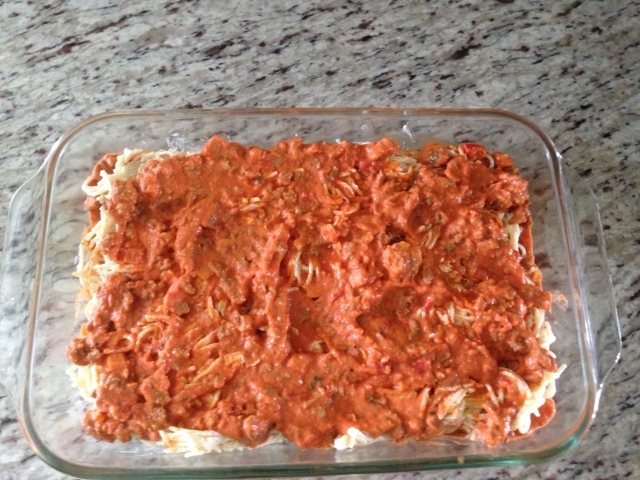 Grease a 9 x 13" baking dish and pour a little of your vodka sauce onto the bottom. 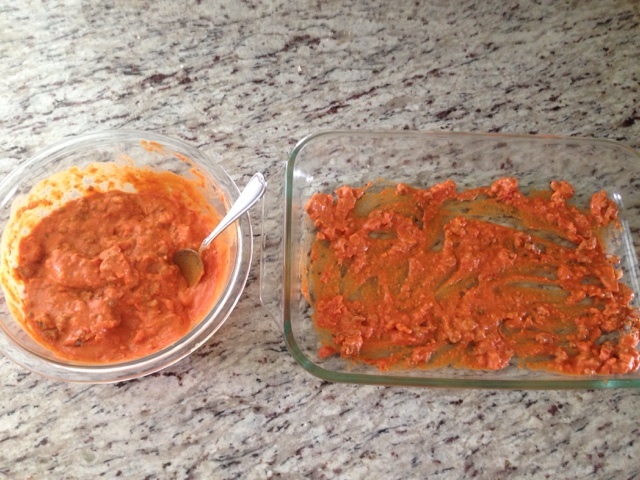 Once your meat is browned, add that to another mixing bowl with your remaining vodka sauce. 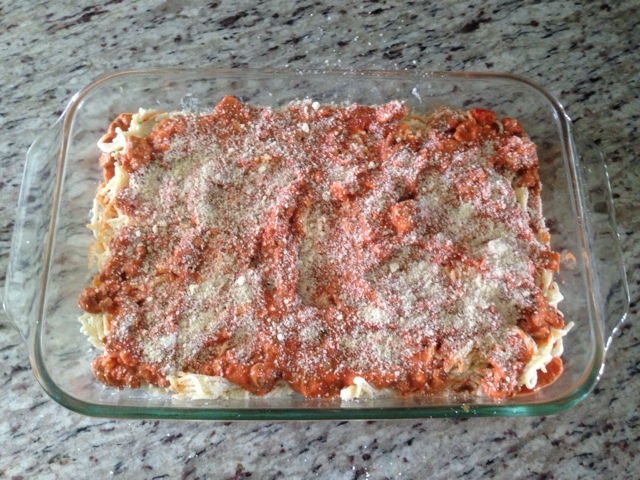 After you've mixed your noodles and cream cheese together well, place it on top of the bottom layer of vodka sauce in your dish. Next, pour your meat/sauce mixture all over the noodles. 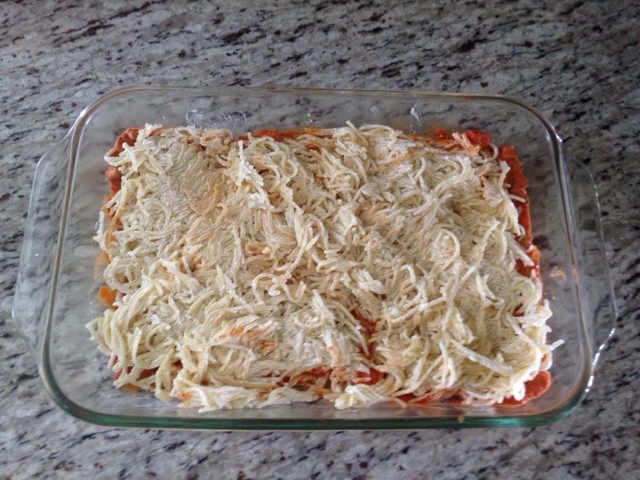 Sprinkle with parmesan cheese and pop in the oven for 25-30 minutes. You'll have to let me know if you try it! This is definitely on the regular rotation around here. Looks and sounds delish!! Anything with cream cheese HAS to be good! This looks awesome!!! And super easy which is a huge bonus! This sounds soooo good. 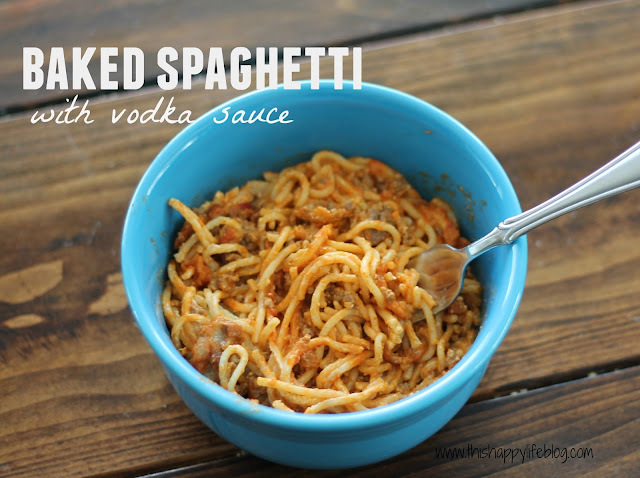 I have a vodka sausage pasta that I make and I think vodka sauces are possibly my favorite. We will definitely be trying this, so thank you! girl, that is TOTALLY all that matters! But it looks delicious. I think I just found what I'm making for dinner tomorrow! Yes, please! I love anything with cream cheese! This sounds so good. I make my own vodka sauce, so I might do that and then add it to this sauce. Yum!